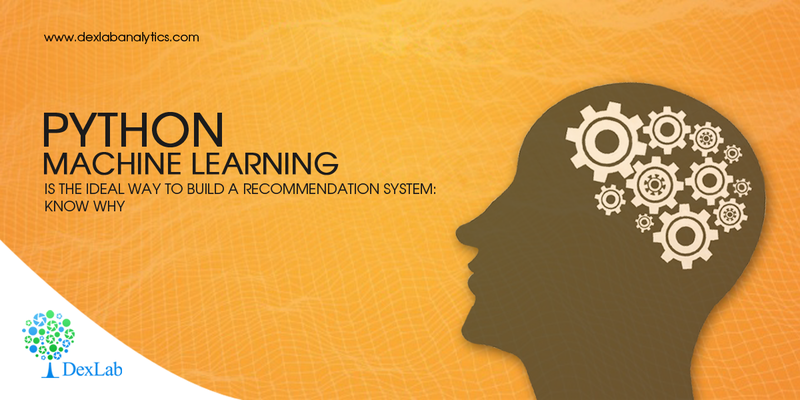 In recent years, recommendation systems have become very popular. Internet giants, like Google, Facebook and Amazon, use algorithms to tailor search results to customer preferences. Any system that has a search bar collects data on a customer’s past behavior and likings, which enable these platforms to provide relevant search results. All businesses need to analyze data to give personalized recommendations. Hence, developers and data scientists are investing all their energies and mental faculties to come up with perfect recommendation systems. Many of them are of the opinion that Python Machine Learning is the best way to achieve this. Often, building a good recommendation system is considered as a ‘rite of passage’ for becoming a good data scientist! This is a simplistic approach, which involves recommending items that are liked by the maximum number of users. The drawback of this approach is its complete exclusion of any personalization techniques. This approach is extensively used in online news portals. But in general, it isn’t a popular choice for websites because it bases popularity on entire user pool, and this popular item is shown to everyone, irrespective of personal choice and interest. These algorithms are based on the idea that if a person likes a product then he/she will also like a similar product. It works efficiently when it is possible to determine the properties of each product. It is used in movie and music recommendations. These algorithms are dependent on past behavior and not on properties of an item. For example, if a person X likes items a, b, c and another person Y likes items b, c, d, then it is concluded that they have similar interests and X should like item d and Y should like item a. Because they are not dependent on additional information, collaborative filtering algorithms are very popular. E-commerce giants, like Amazon and Flipkart, recommend products based on these algorithms. After choosing the type of recommendation system to build, developers need to locate relevant datasets to apply to it. The next step is determining the platform where you’ll build your recommendation system. Python machine learning is the preferred platform. Code: Python makes the process of writing code extremely easy and working with algorithms becomes quite convenient. The flexible nature of this language and its efficiency in merging different types of data sets make it a popular choice for application in new operating systems. Libraries: Python encompasses a wide range of libraries in multiple subjects, such as machine learning and scientific computing. The availability of a large number of functions and methods enables users to carry out several actions without having to write their own codes. Community: Python includes a large community of young, bright, ambitious and helpful programmers. They are more than willing to provide their valuable inputs on different projects. Open source: The best part about Python is that it is completely open source and has sufficient material available online that will help a person develop skills and learn essential tips and tricks. Proficiency in Python is highly advantageous for anyone who wants to build a career in the field of data science. Not only does it come handy in building complicated recommendation systems, it can also be applied to many other projects. Owing to its simplicity, Python Machine Learning is a good first step for anyone who is interested in gaining knowledge of AI. In the current data-driven world, knowing Python is a very valuable skill. If one’s aim is to collect and manipulate data in a simple and efficient manner, without having to deal with complicated codes, then Python is the standard. For Machine Learning training in Gurgaon, join DexLab Analytics– it is the best institute to learn Machine Learning Using Python.